Autumn in Granada is a strange season. Temperatures fluctuate dramatically from mid 30ºC to a maximum of 15ºC in November. Seasonal food comes into season like Persimmon, pomegranates and of course wild mushrooms. Local Autumn dishes appear on Andalusian kitchen tables and in the best local eateries too. Recent snowfall on Sierra Nevada mountains chills the air, making these hearty Autumn foods even more appealing. Although the sun stills shines every day Autumn temperatures are cooler even though the sky is still blue above. Oranges are coming into season in Lecrin Valley, Avocado season is upon us too. 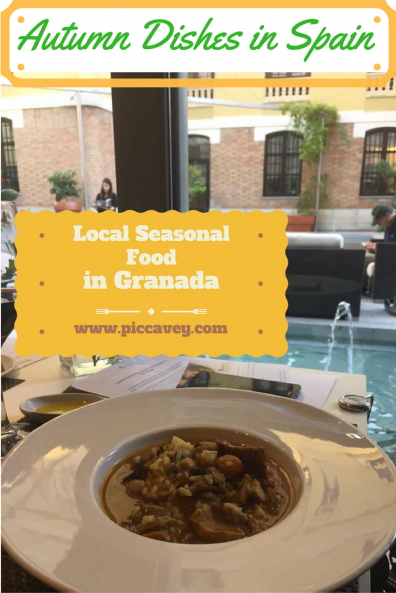 There is plenty of delicious local produce to try in Granada province at this time of year. Autumn months bring us zero mile products like quince, almonds, pomegranate, jujube berries and chirimoya (custard apple) all grown locally. Olive Oil is also being collected for the first oil pressing of the year. Street corners around the city centre are dotted with typical roast chestnut stands. The air as you walk by loaded with the inviting aroma of chestnuts on the hot coals. Other local produce includes varieties of pumpkin, squash and an abundance of mushrooms. 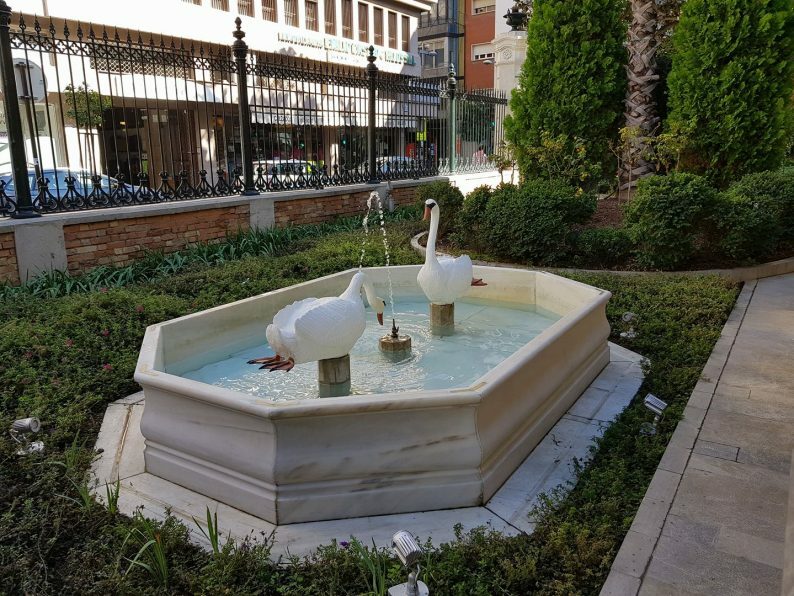 This week I tried a seasonal 5 course menu in Granada ´A taste of autumn´ is on for just one week at the Restaurante Los Patos. Headed up by Spanish chef Blas Hidalgo. I do like to see different gastronomic options on my travels. So I headed to this city centre location to try this years Wild Mushrooms. On Calle Recogidas, this grand building has a discrete restaurant, tucked inside Palacio de los Patos. An elegant place to get away from the rush of the city. The fountains and garden make a lovely place to dine and unwind before getting back to your day. Please note that 2 hours complimentary parking is included. Throughout the month of November you can also enjoy these dishes when you dine at the Los Patos. The dishes can be ordered together with dishes from their classic menu. Other typical seasonal produce in Andalusia are boniatos or sweet potatoes, we get the first mandarins and oranges of the season. Caquis known in english as Persimmon come into season too. Grapes, pears and figs are also produced locally in these months too. The almond harvest has just been collected ready for all the turron production over Christmas. 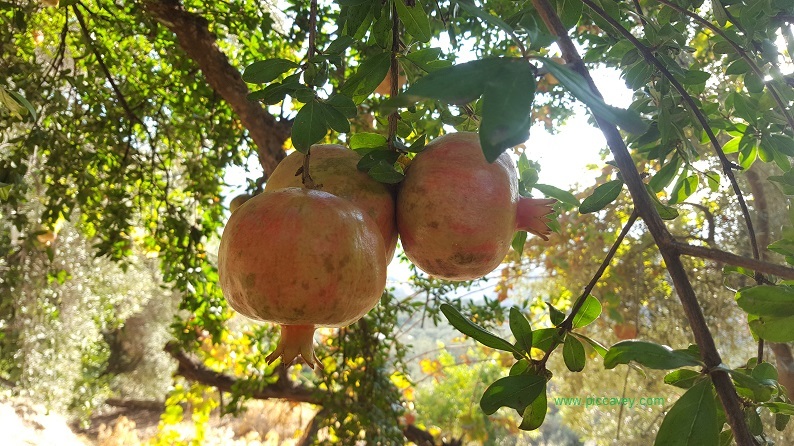 So the autumn harvest in Andalusia is truly an abundant season. What is your favourite food at this time of the year? 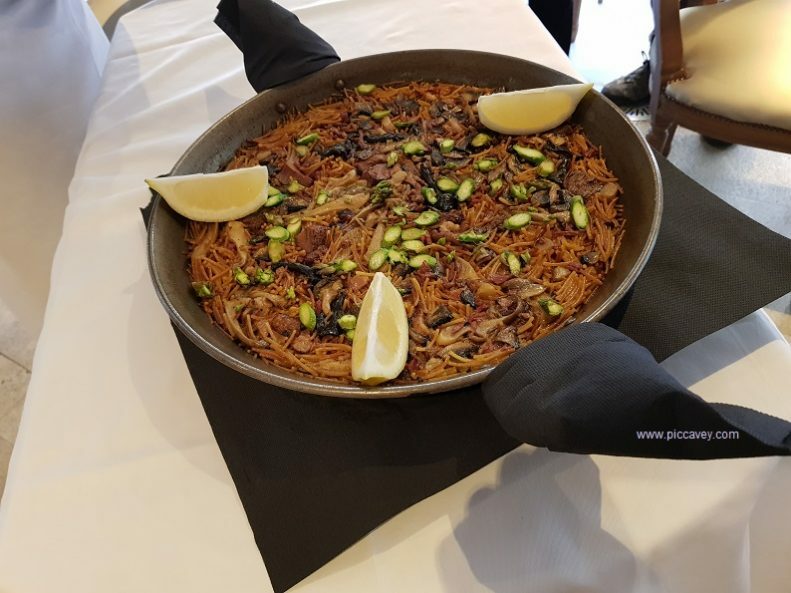 Have your tried any typical Autumn dishes in Spain? 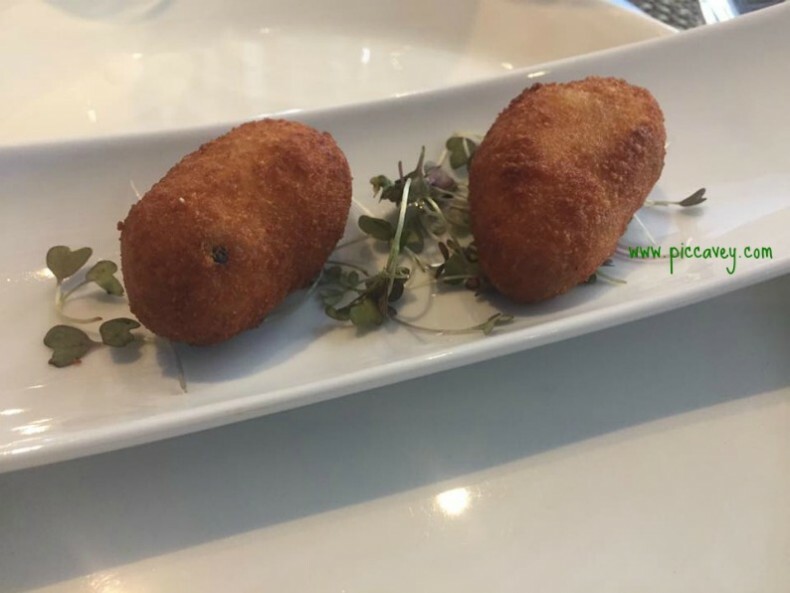 You had me at porcini croquettes! 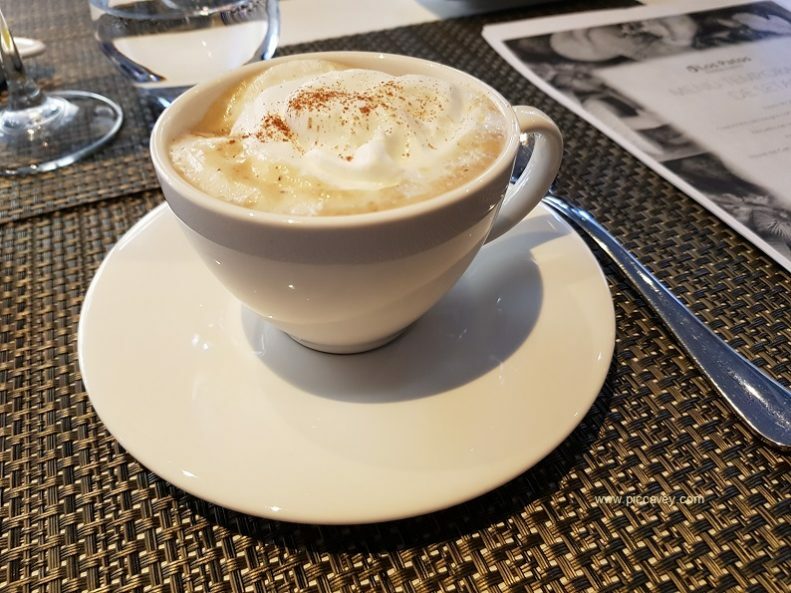 Love your blog Molly and this post is delicious!